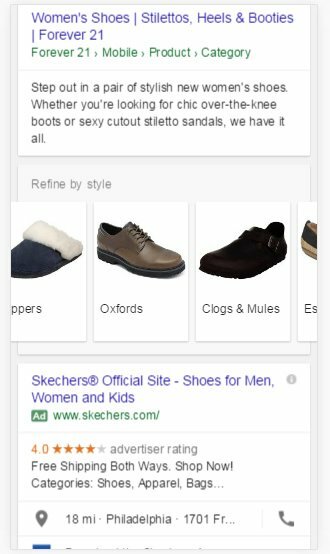 Google seems to be rolling out a new carousel feature set for shopping ads. This was covered by Ginny Marvin back 3 weeks ago, but now it seems more and more people are seeing it. When you search for specific retail or shopping queries, Google may show you a carousel that lets you refine and filter your search results. The categories let you 'refine by style' and other options. I am personally able to replicate this, so it seems to be live for many. @rustybrick BTW, this is not a shopping carousel, it is an organic search feature. Just some happen to show PLAs.